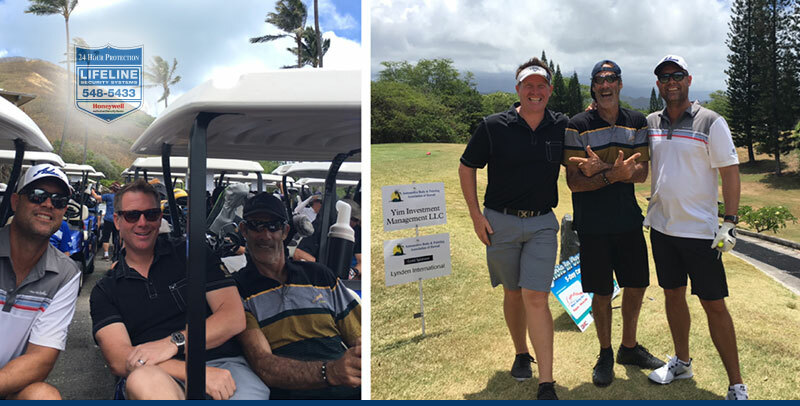 Lifeline was a proud corporate sponsor at the recent Automotive Body & Painting Association of Hawaii’s Annual Golf Tournament held at Mid Pacific County Club, which also benefitted the U.S.VETS in Barber’s Point at Kalaeloa. U.S. Vets is a non-profit organization that provides affordable, long-term, supportive housing for veterans and also supports the U.S. Vets signature work re-entry program, Veterans in Progress. We care especially about this organization since Baber’s Point is right in our back yard and serves nearly 1,000 veterans. Lifeline was started in 2002. Today, Lifeline Fire & Security is the only Authorized Honeywell / First Alert Professional Dealer in Hawaii and provides security integration solutions on Oahu and all over the Hawaiian islands. The company is an active participant in many community outreach activities to help better the lives of our residents.